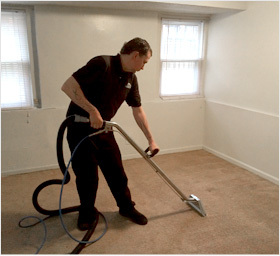 Philadelphia Carpet Cleaning is not just about cleaning carpets. In fact, many homes and offices today do not have carpets, but they do have air conditioning systems, wood floors, window treatments, etc. How many times has your pet messed in the house and you had to stop what you were doing to attend to it? Are your curtains and blinds looking a little grubby and worse for wear but don't want to replace them? Does your furniture need more than a quick dust? Do you have water damage that just does not seem to dry up? These stains on your furnishings stare you in the face every day. Philadelphia Carpet Cleaning Services can help you with all these issues. Carpet Cleaning Philadelphia cleaners will be happy to serve you in Philadelphia, however, if you live in the nearby vicinity of Trenton, New Jersey, other cleaning experts are at hand. NJ carpet steamers offer reliable, fast, and affordable carpet cleaning services, including steam cleaners, carpet, upholstery, furniture, and rug cleaning services.